Let me preface this by saying that I am not a professional hairstylist. 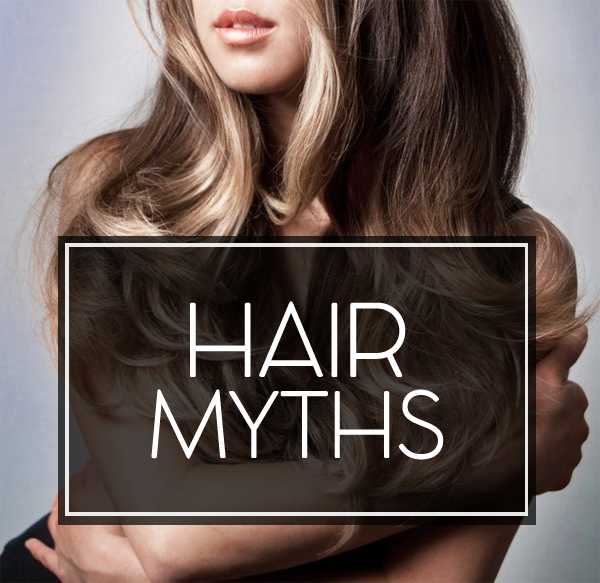 These are just myths that hairstylists and hair bloggers debunked. If you just need to keep your hair clean, any shampoo works regardless of how often you use it. The only reason for you to have to change your shampoo is if you start coloring your hair, increase your use of hot tools, or expose your hair to the sun more often. You can also consider changing your shampoo with the seasons. Dull hair comes from rough hair cuticles, and the myth is that cold water helps seal your cuticles to make them flat and reflective. Hair, however, is technically dead cells and doesn't react to temperature. To make your hair shinier, just use hair products containing silicones and oils to smooth rough hair cuticles. Believe it or not, brushing is actually bad for your hair. The friction between your brush and your hair damages your hair and leads to cuticle breakage. When you do need to brush to detangle or style your hair, use wide-toothed combs or brushes with plastic bristles. With that being said, though, brushing does stimulate blood flow in the scalp and aids hair growth. This blog post by Em of Em Talks discusses how to strike that perfect balance. The only truth behind this myth is that one gray hair usually means more are coming. Try to resist plucking them anyway, though, because constant plucking will cause that hair root to eventually die and stop growing hair. Sydney of The Science of Beauty even conducted a "study" to challenge this myth. There is a belief that the ammonia in hair color can be absorbed into your scalp and end up in your bloodstream, which is terrible for the baby. However, the risk with coloring your hair during pregnancy actually lies in inhaling the ammonia. Even though the ammonia levels in hair dye are low and the ventilation in hair salons good, it's still best to play it safe and avoid hair dye when you're pregnant. The good news, though, is that you can use henna, a natural, plant-derived dye, to color your hair. Han of Hantastic Beauty actually has a tutorial for dyeing your hair with henna. What are your thoughts on these hair myths? What other hair myths have you heard of? I love this. I am glad someone debunked these myths! I have grey hairs and I hate it!